»Forums Index »Halo Custom Edition (Bungie/Gearbox) »Halo CE Technical / Map Design »Compiling with Tool.exe "map file appears corrupt"
Once I get compiling with tool, I type in what was instructed into the command prompt, that being "tool.exe structure levels\test\tutorial field"
First line to output is "map file appears corrupt" followed by what appears to be the level being compiled. Any solution to this? Is my syntax off or is it the level geometry? instead of Blitzkrieg. See if that fixes the error. I've never actually used Blitzkrieg as I've never had a copy of Max8. Any clarification on how to use this? Do I do anything with the JNS_Exporter_v1-0-2.ms file? The length of your life depends on my aim. Any clarification on how to use this? 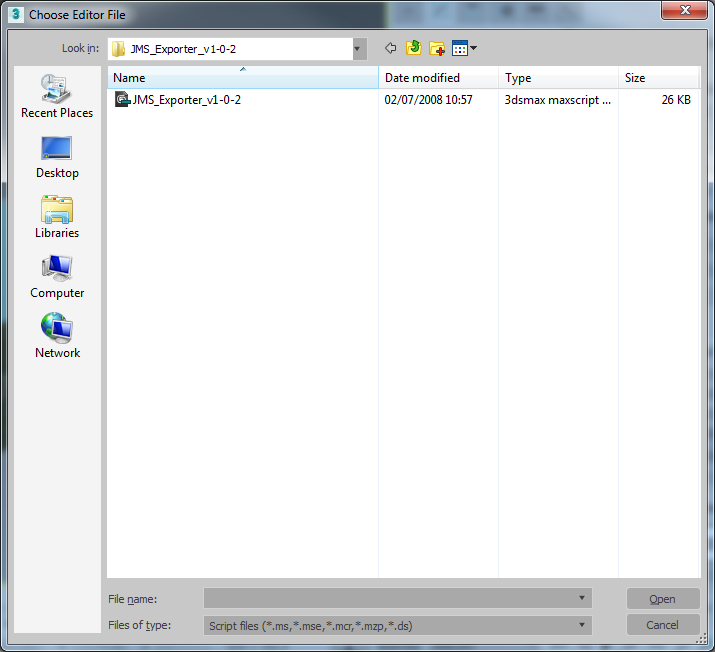 Do I do anything with the JMS_Exporter_v1-0-2.ms file? Open up max, hit the maxscript tab and choose run script. A window will open which should by default take you to the scripts directory which would be located wherever you installed max, paste the .ms file into there and then double click on the script to open it. 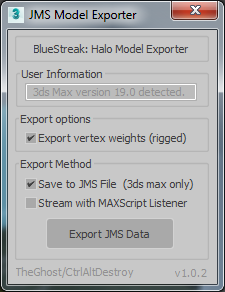 Was able to export using the JMS exporter but I'm still getting the map file is corrupt message. but I've only completed the Level Creation - Part 1. Do I need to add more to the map to successfully compile it? I definitely recommend completing the HEK tut but it'd also help to give is a screen cap of your map and maybe a copy and paste of tools debug output. 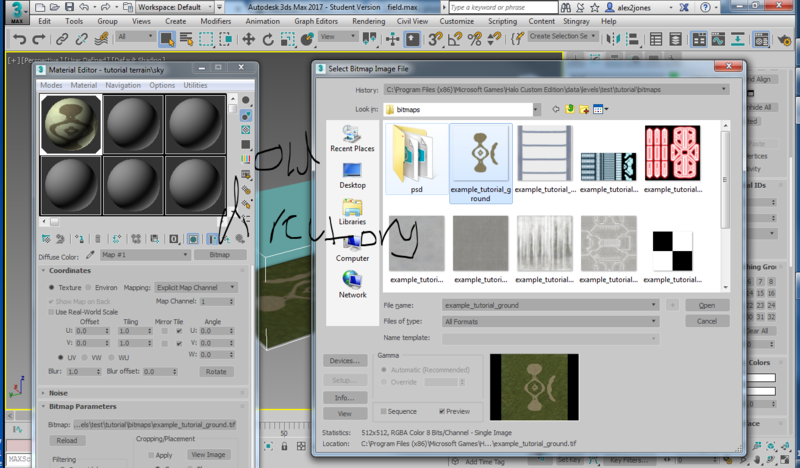 Here are the images for my current map in 3ds Max and tool.exe compiling that map. 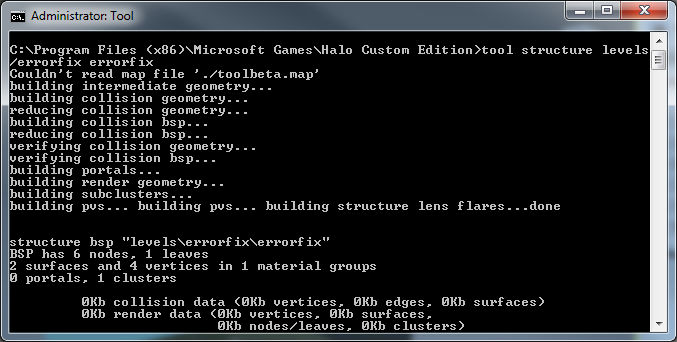 Here is the text from debug.txt from the Halo Custom Edition directory. Are you running all your programs as an administrator? 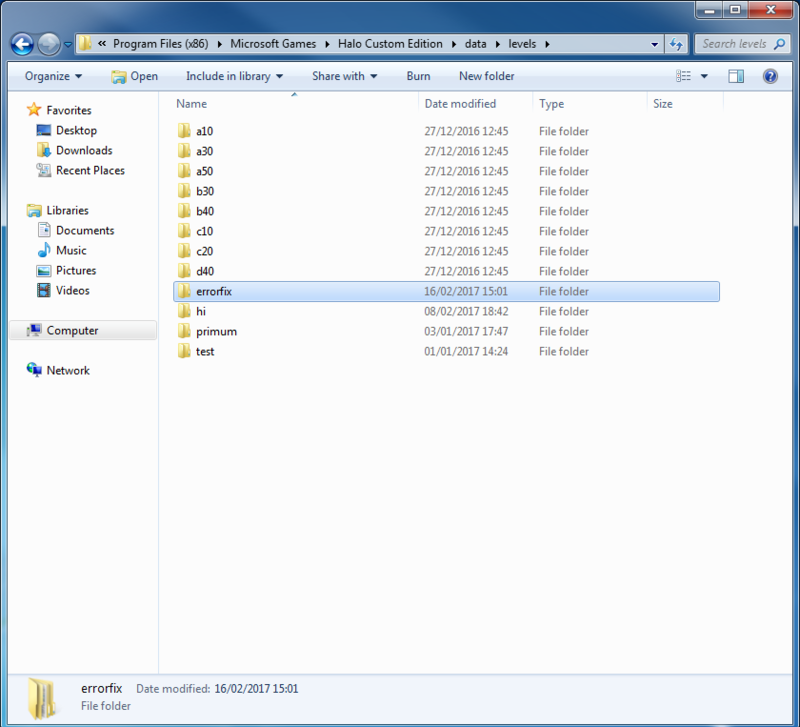 If Halo is in your program files directory, you'll need administrator rights in order to properly access the files in there. Quote: Are you running all your programs as an administrator? If Halo is in your program files directory, you'll need administrator rights in order to properly access the files in there. I then ran tool.exe as administrator and am still getting same "map file corrupt" message followed by the level compiling. Right click the geometry; convert to editable mesh. You should collapse all the modifiers before export, and be sure it's a mesh before export. Try that let me know how it goes. 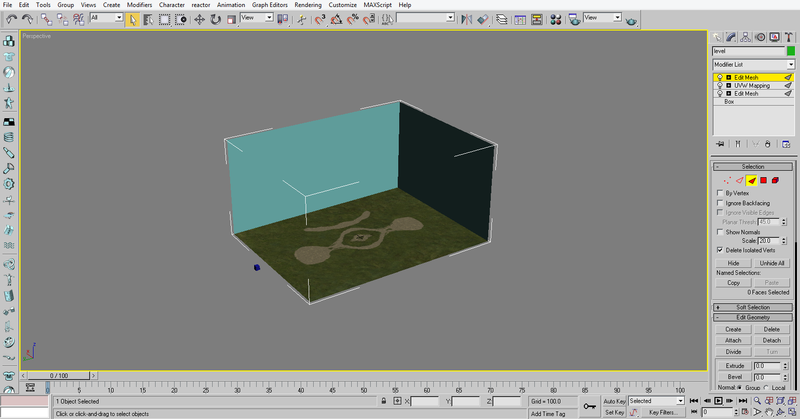 Here's the geometry collapsed, and I right clicked the level to make it into a editable mesh. Ran 3ds Max 8 as administrator, made into a editable mesh, re-saved and re-exported, ran tool.exe as administrator and I got the same error. Upload the .max file, I'll take a look tonight and figure it out. Quote: Upload the .max file, I'll take a look tonight and figure it out. Here's my .max file for download, link is safe. BTW Halomind the actual geometry doesn't seem to be the problem as it looks too simple to go wrong. I should also point out that although your debug info does state that "map file appears corrupt" tool was still able to compile the .jms data successfully. The next step would be to open guerilla, assign a sky .tag to the map and check the multiplayer option. After that run radiosity and see if any other "map corrupt" errors pop up. Oh and for future reference replaces all spaces with underscores. The .jms file does appear to have compiled correctly in the prompt but I still have the issue of only having the field.scenario_structure_bsp file and not the field.scenario file created. picture of directory when looking for a file with guerilla. Gonna download in a few minutes. Recheck his tool window; it correctly assigns the verts but has 0kb of collision info. While I suppose all the collision data could be less than 512 bytes, beings that it's 4 verts, I find it unlikely. 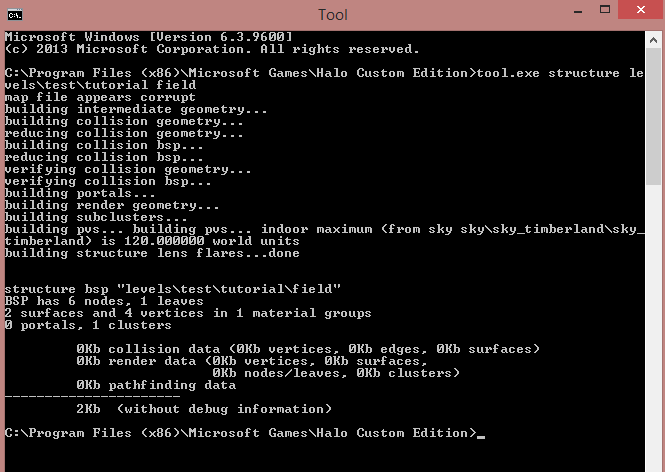 But I was mistaken; it does in fact compile 0kb of collision data. Sorry, but the link you uploaded compiled perfectly. Created a BSP and Scenario file, without the mapfile appears corrupted. No errors, no corrupted map, compiled fine with the same 0kb as yours. Soo, something with your setup is wrong. Something isn't running as admin or Blitzkrieg is junk or what have you. Can't really say what it is, but your setup isn't good for making BSPs. It 100% can be fixed, no question about it. It's not fate or god or your PC's hardware. Something isn't setup how it should be, or isn't running as it should be, and that's the result. I would always use Bluestreak over Blitzkkrieg, and make sure you right click Tool.exe, adjust properties and set TOOL to run as administrator. Not CMD, Tool.exe, the thing you can't just open and run. Ohhh adorable! I remember when I used to make tons of boxmaps, I really enjoyed the day I figured out tool. I checked Guerilla, there is indeed collision, let's just assume Tool only counts data if it goes past Kb sizes. OHHH ! ! And are you using the Max 8 version of Blitzkrieg instead of the Max 5 version that comes with the HEK? Quote: OHHH ! ! And are you using the Max 8 version of Blitzkrieg instead of the Max 5 version that comes with the HEK? I've actually been using the version that came with HEK, I'll update whether it works or not. UPDATE: downloaded blitzkrieg from link provided by OrangeJuice, replaced blitzkrieg.dle in the plugin folder of 3ds Max 8 as well as the 4 .dll files in windows\System32, re-exported the map, compiled, got the "map file is corrupt" error in the end. Then typing into tool.exe, I put "tool.exe structure levels field" I get the same result. Try jms exporter 104e or junglegym. Quote: Try jms exporter 104e or junglegym. Tried but to no success. At this point I'm kinda at a loss, this "map file is corrupt" error never appeared before working on my own level, when I compiled the tutorial.scenario file provided by the HEK before starting this, it appeared to compile fine, but now when I try to compile the tutorial.scenario file, it gives me the error. Maybe I possibly moved around or deleted a file I wasn't supposed to somewhere, I'm thinking I'll just reinstall everything at this point and then try again with a clean slate. Don't despair these types of things happen from time to time. The best thing you can do is keep regular backups of your work. Did you do that thing where you create a file called toolbeta.map? Because your error messages don't list "Missing toolbeta.map"
If you made a toolbeta.map, delete it. You should make your own folder for your test maps and not use other already used folders. 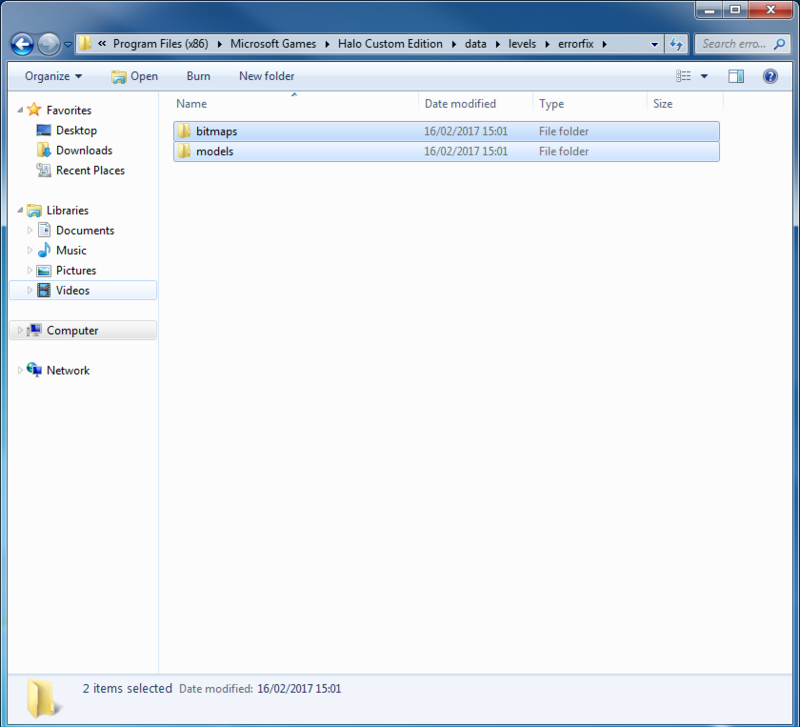 Create one by going to your data directory and create a folder, name it whatever you want. 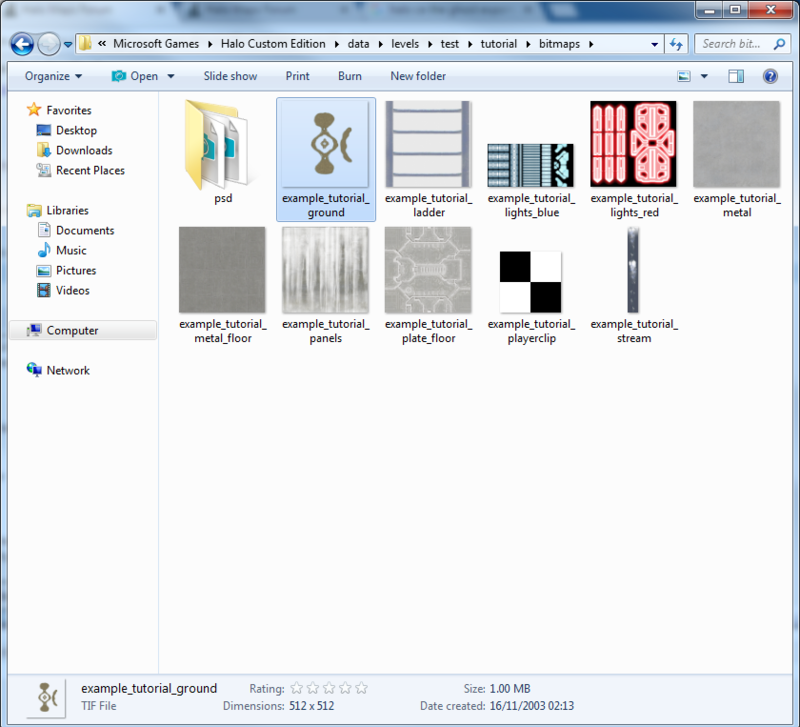 Inside that folder make 2 new folders called models and bitmaps. 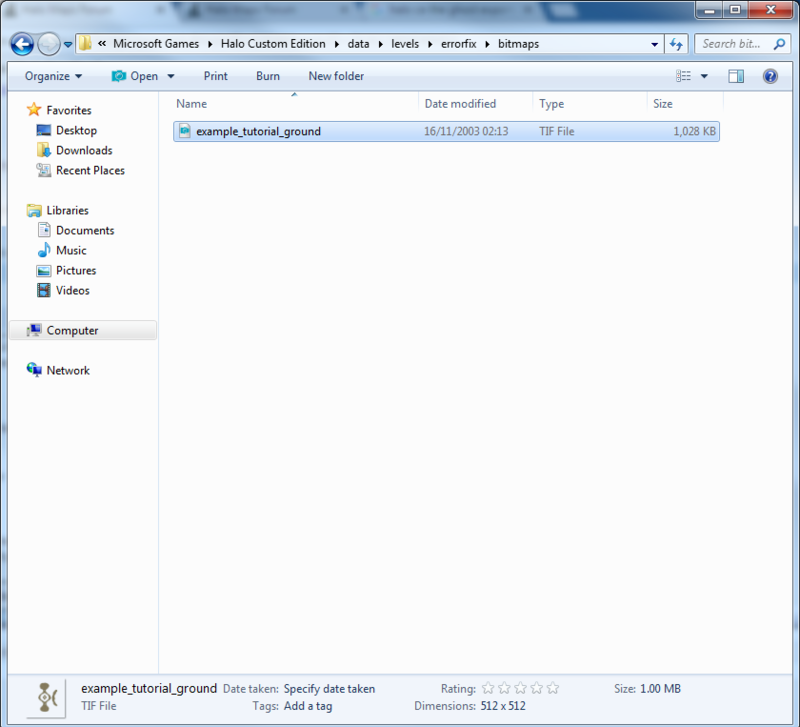 Copy the tutorials ground bitmap from the tutorial bitmap folder into your own bitmap folder. 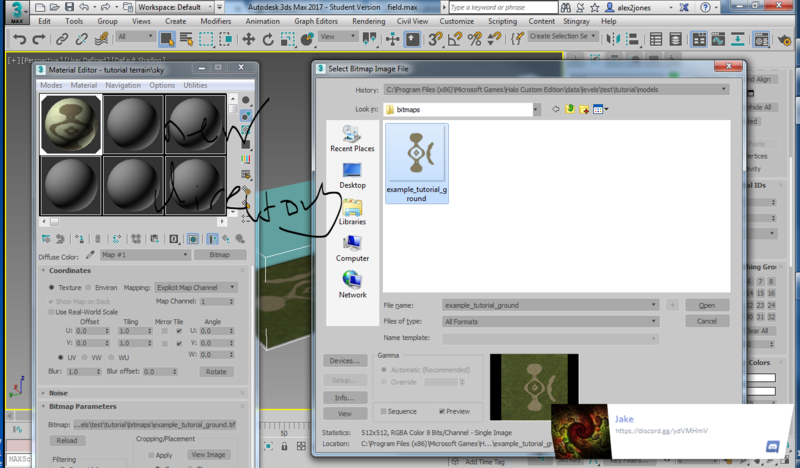 Change the directory in your material editor in max to your newly placed bitmap inside your bitmaps folder. Make sure the map is correctly linked to the frame and export it. Personally I use JMS Exporter v 1.0.2 by CtrlAltDestroy, https://www.google.co.uk/url?sa=t&rct=j&q=&esrc=s&source=web&cd=2&cad=rja&uact=8&ved=0ahUKEwj2hszv85TSAhXkL8AKHdzCBpMQFgghMAE&url=http%3A%2F%2Fhce.halomaps.org%2Findex.cfm%3Ffid%3D3819&usg=AFQjCNFsObeEf1Cbtm-RsYr5Xm9gkiCoYQ&sig2=prjxz6IRkd4yqlfS9n6eQg&bvm=bv.147134024,d.ZGg . Open it inside of max by going to scripting then to run script then open up the script. Click export jms data the navigate to your data directory then go inside models and export it to there. Hit enter. It should compile successfully. Normally when you have more materials it should come up with something saying which shaders you want. In this case it hasn't happened so you shouldn't worry. It should just compile successfully. You can create your shader manually later. I get the same thing where it says there is 0kb collision data but that is most likely because the map is so simple it's hardly anything. However I don't get the map is corrupt error because I probably didn't use a already used folder. Hope this helps! Btw OP there is no need start every syntax with "tool.exe". "tool" will do just fine. Definitely going to try these suggestions once testing this week in school is over, will update soon. I tried both DeadHamster and Aex's suggestions and found that deleting my toolbeta.map finally got rid of the "map corrupt" error. Much thank's for the input guys, but the field.scenario file still doesn't seem to have been created. 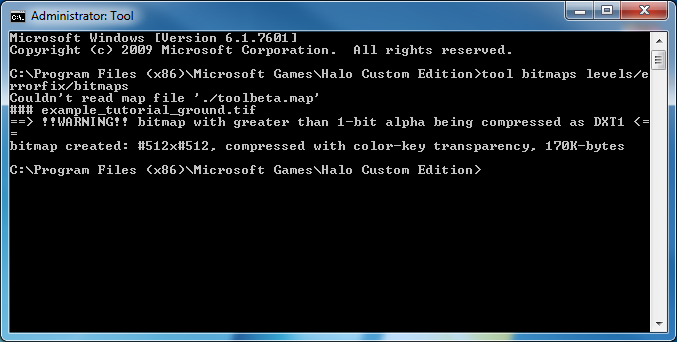 I just went into my Halo Custom Edition folder and typed "toolbeta" into my search bar, found the file, then deleted. There is a thing you do where you purposefully create toolbeta. But it ruins everything so never do it. I will get into possibly reinstalling it and testing out whatever works again, but since the my original problem was solved for this post, I'll start a new post for whatever problems I might possibly have in the future. Much thanks to everyone for the input and time, massively exceed my expectations! Time: Sun April 21, 2019 9:17 AM 328 ms.